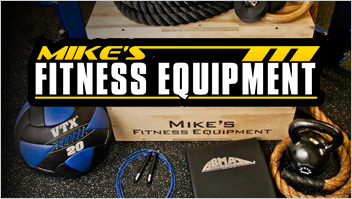 Mike’s Fitness Equipment was started in June of 2010 with the goal of providing quality fitness equipment at affordable prices. As a small family company, we work hard every day to seek out the best products at the cheapest prices and pass them onto you, our wonderful customers. We are privileged by each and every one of our customers and our number one concern is that you’re happy with your shopping experience. We sincerely appreciate your patronage because without you, we wouldn’t be able to do what we love. We take pride in everything we do and aren’t happy unless you are. This is the Mike’s Fitness Equipment promise.